Sup?! Gotta another for ya. But it's a bit different. The resolution is1280x720. 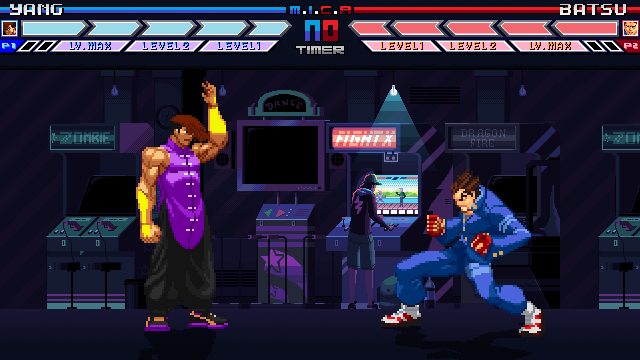 I tried 640x480 but the guy in the back was just too large compared to the fighters. So...I stretched it a bit further. As a result, I had to extend the original art and add my own ceiling and floor. No superjump or zoom. Just animations and some dope beats to fight too. The original art is another one of Kirokaze's works. I owe that guy. Well...try it out.